A deodorant liquid cream roll-on based on organic Aloe Vera, delicate yet highly effective with impressive skin care benefits, ideally suited for even the most sensitive skin. The soothing qualities of Aloe Vera combine to provide skin friendly, long-lasting protection. palmitate, Glycyrrhetinic acid, Citrus limon (Lemon) peel oil, Tocopherol, Helianthus annuus (Sunflower) seed oil, Chondrus crispus(Carrageenan) extract, Xanthan gum, Sodium phytate, Sodium benzoate, Potassium sorbate, Citric acid, Citral, Limonene, Linalool. 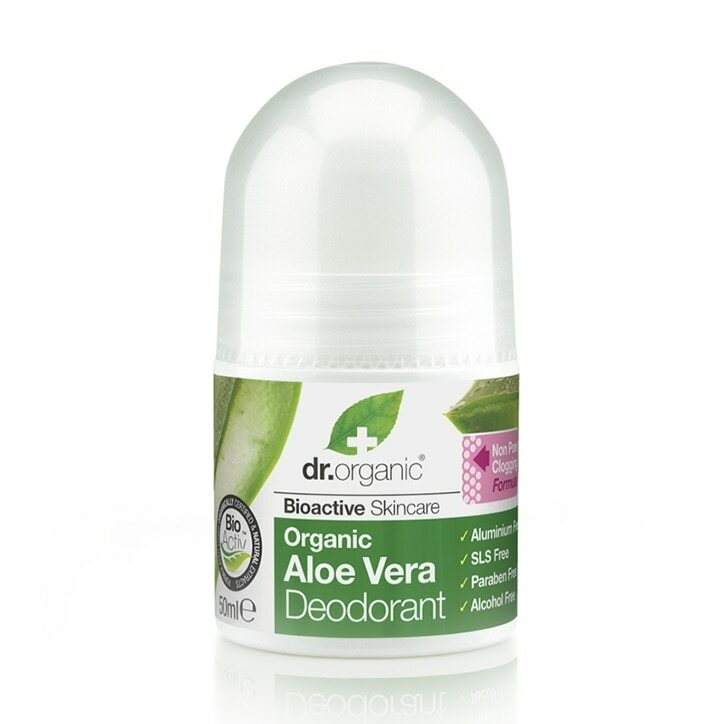 Dr Organic Aloe Vera Deodorant is rated 4.0 out of 5 by 80.